Blue Ridge Country Club was an exclusive private club located ten minutes from downtown Harrisburg in the Hershey/Lebanon area. It is now part of The Clubs at Colonial Ridge. Rated as the number one course in the area. In the 2004 Patriot News reader's pole, the parkland course features a strong layout with fast greens. Limited times are exclusively available for play through Genesis Golf Trips for stay & play guests. Their amenities - an award-winning golf course, 5 har-tru tennis courts, beautiful outdoor pool, fitness center, informal and formal dining, meeting and banquet facilities - are second to none. 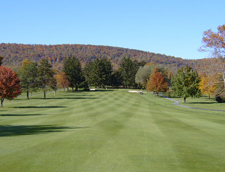 Genesis guests are offered privileged access to the golf course, pro shop and all dining facilities following a round at Blue Ridge Country Club. There's no better way to experience "being a member for the day," than this. A dress code exists, so proper attire is required.